An accomplished lecturer and author, khan’s writings have been featured in The Feminist Wire, The Root, The Huffington Post Black Voices, and Al Jazeera. khan will present “Demanding Social Transformation, Justice and Equality for All” on Oct. 25, 7 p.m., Camp Concert Hall, Modlin Center of the Arts. This event is serving as the keynote for this year’s One Book, One Richmond program. Led by the Bonner Center for Civic Engagement, One Book, One Richmond is UR’s campus-wide effort that encourages students, faculty, staff, and members of the Richmond community to read and discuss a selected book on a social justice issue. 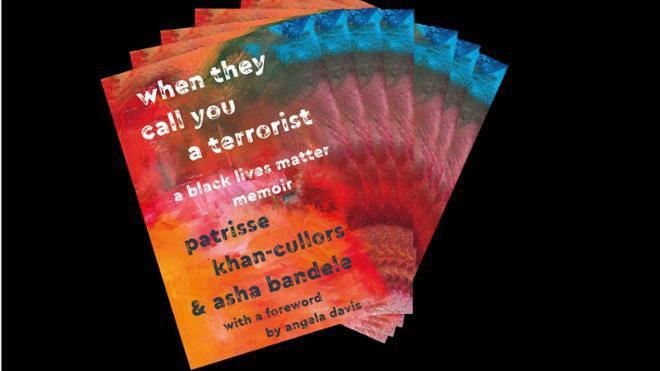 This year’s selection is When They Call You A Terrorist: A Black Lives Matter Memoir by Black Lives Matter co-founder Patrisse Khan-Cullors, and asha bandele. The memoir weaves together themes of poverty, race, the criminal justice system, and activism. The talk, which is free and open to the public, is currently at capacity. Standby and overflow information can be found online. khan will also speak the following day during a workshop at the Connecting Womxn of Color conference, Oct. 26, Noon-3:30 p.m., Tyler Haynes Commons, Alice Haynes Room. In its 10th year, the Connecting Womxn of Color conference fosters a space where women and gender-expansive individuals of color and their allies can hold meaningful dialogue about diversity, equity, and inclusivity. Additional details about this event are available online. The conference is free and open to the public, but registration is required. “janaya khan presents with compelling narratives that illustrate how individual lives are affected by inequality. We are excited for to the meaningful conversations sparked by this One Book, One Richmond event.” -- Adrienne Piazza, UR’s associate director of student engagement & director, Bonner Scholars Program, Bonner Center for Civic Engagement. --Tanesha Dixon, event organizer and Area Coordinator for Residence Life and Student Housing.